Experience zen Bali bliss at its absolute best! Peppers Seminyak is private, luxurious and all about your wellness. Think standalone tropical villas, 5-star facilities and a setting just back from the beach, near boutiques and exquisite fine-dining restaurants. 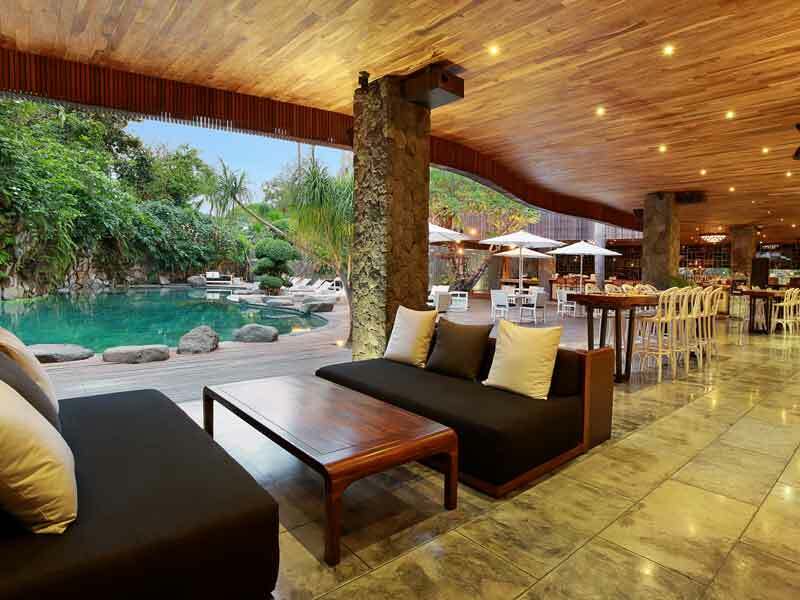 Peppers Seminyak is a premier holiday destination—check-in here for the full VIP treatment! 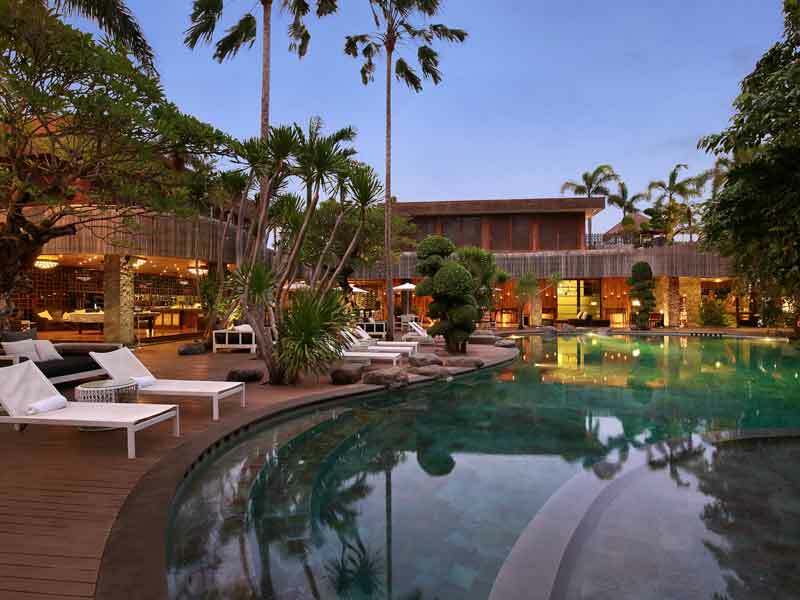 Peppers Seminyak is elegant, luxurious and everything you’d want in a high-end Balinese retreat! Enjoy your own slice of paradise when you check-in to the resort’s stunning villas. 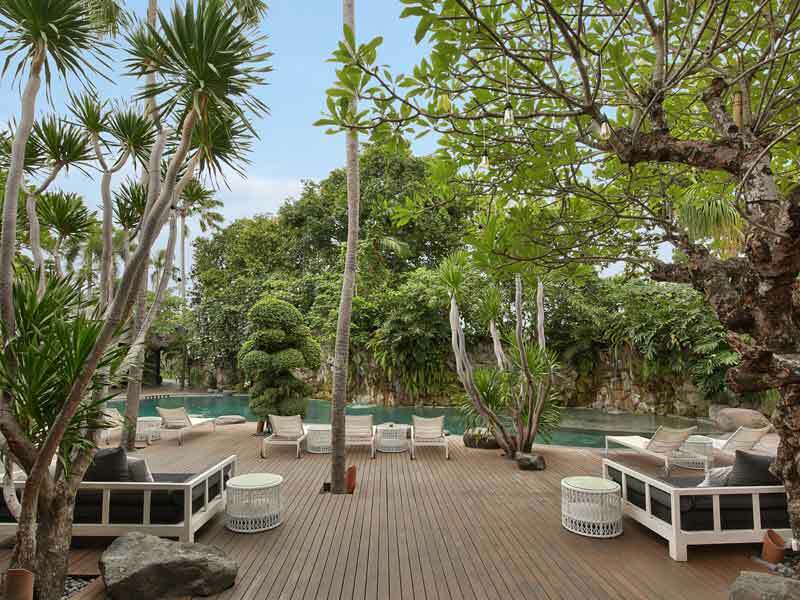 Complete with traditional Balinese décor, breezy outdoor living areas and surrounded by lush tropical vegetation, you’re guaranteed to escape the bustle of the outside world and completely lose yourself to the peace and quiet! All villas at this exquisite resort boast their own private pools. Spend hours in the sun or in the shade of your Balinese bale (day bed), then take a dip whenever you need to refresh! Inside your villa, you’ll find chic bedrooms with luxurious marble-floored en suites, a fully-equipped kitchen, dining area and more. 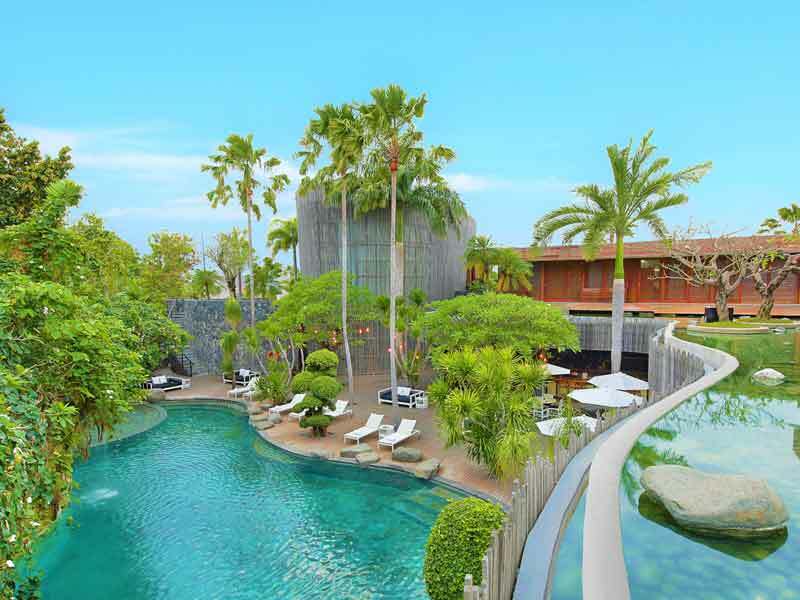 The resort also features a stunning pool, restaurant, bar, fitness facilities and wellness centre, making it the ideal place for an indulgent break. 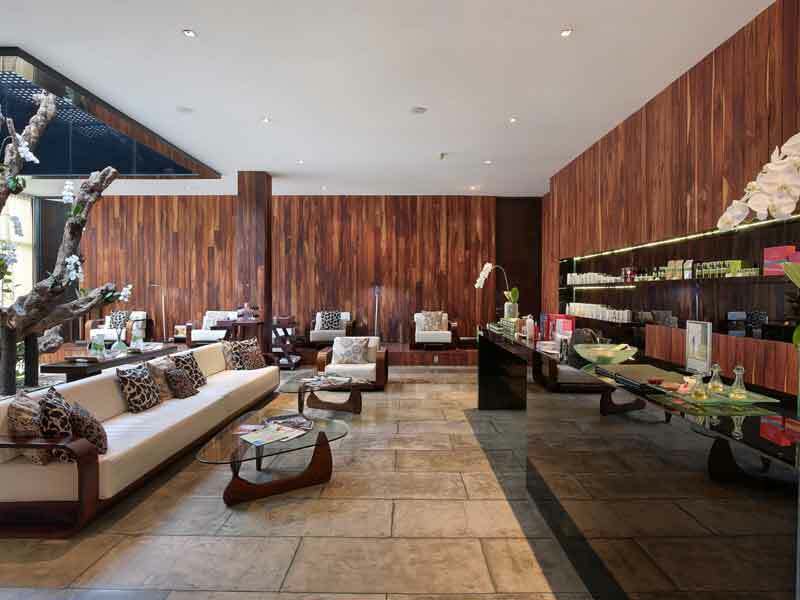 Treat yourself to an organic treatment at The Spa at Peppers Seminyak or calm your mind with a yoga class. When hunger strikes, The Laneway Restaurant & Bar will satisfy. Sample creatively crafted meals that fuse traditional recipes with modern favourites and soak up the ambiance of the chic, colourful dining space. With a pool table, indoor and al fresco seating options, you can lose hours here as you graze on the contemporary delights. Peppers Seminyak also offer 24-hour room service and specialty dining options. Why go to Peppers Seminyak? Choosing Peppers Seminyak for your holiday to Bali means you are close to all the action, with a luxury private villa to return to after a long day of shopping, surfing, exploring or just relaxing in the sunshine. Easily one of the best places to stay in Seminyak, the combination of luxury, privacy, flexibility and location, create the idyllic Balinese retreat that Peppers Seminyak are known for. Add to that the ability to arrange a private dining experience with the resort’s chefs and you have yourself a holiday that’ll feel like heaven! If you’re looking for time out, make use of the resorts babysitting service. Wander into central Seminyak for a few sundowners and sample some of the fine-dining from world-renowned celebrity chefs! If this sounds like your perfect holiday to Bali, give us a call now on 1300 332 254. Boasting an incredible 450sq. metres space and surrounded by lush tropical garden, 3 Bedroom Royal Pool Villas offer a truly authentic and blissful retreat. Enter to discover beautiful teak decking, a private pool, reclining sun loungers and a poolside bale (covered day bed). Inside, the space is divided into expansive living areas and 3 elegant bedrooms. Each feature deluxe King bedding, en suite bathrooms and chic décor. The master bedroom has a generously-sized bath tub for soaking your stress away, while the two other en suites contain luxurious showers and signature amenities. Other features include a fully-equipped kitchen, marble floors throughout, air-conditioning, flat-screen TVs, Wi-Fi, access to 24-hour room service and daily housekeeping. 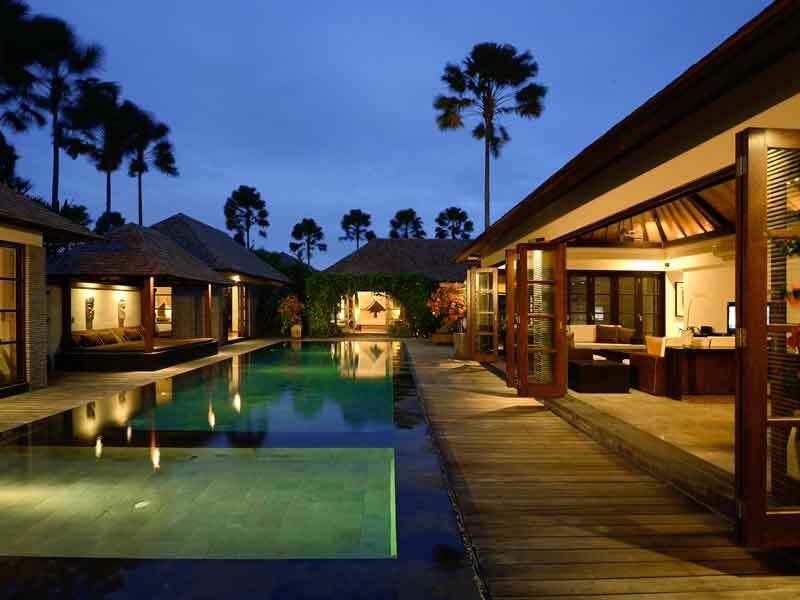 3 Bedroom Royal Pool Villas can accommodate up to 6 adults and 3 children. Set only 7-kilometres from the airport, Peppers Seminyak is surrounded by other lavish hotels in the highly desirable Seminyak region. The resort is within walking distance of tropical beaches, boutique shops and upmarket designer fashion labels. There are also endless fine-dining options. From breakfast through to brunch, lunch and dinner, Foodies will be spoilt for choice in Seminyak. Originally a town in its own right, Seminyak has outgrown its original boundaries and now almost joins up with neighbouring tourist hotspots of Kuta and Legian. Seminyak is the smaller of the three resort towns. It is more reserved, refined and low-key than its party-centric neighbours, though it still knows how to have a good time—think luxury beach clubs, live music venues and poolside soirées. Being located along the west coast of Bali, the sunsets here are truly out of this world. Grab a drink and settle in to take in the view! Seminyak is the place to be if you want to browse for one-of-a-kind homewares, fashion and art from a huge range of boutique Balinese stores and well-known international brands. 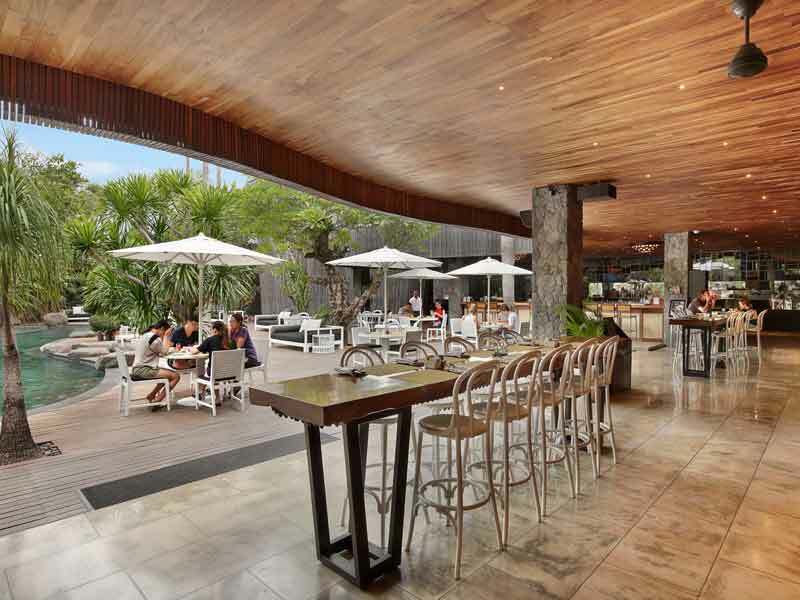 If you want to sample Seminyak’s luxury beach club party scene, a visit to Potato Head or Ku De Ta is in order. If it is nightclubs and pubs you want, head around 30-minutes down the road to Kuta. To get a taste of Balinese culture, visit the Pura Petitenget. 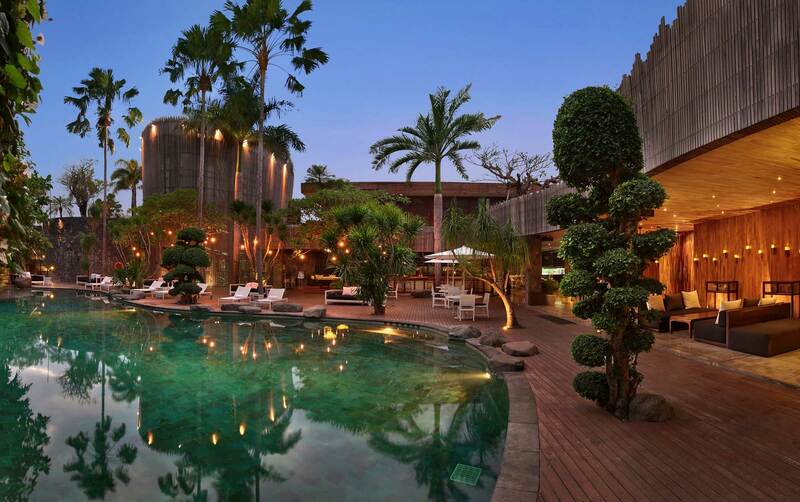 This 16th Century Hindu temple is captivating and only 600-metres from Peppers Seminyak! If you’re an outdoors adventurer, this is the place for you! The coast stretching from Seminyak to Kuta and beyond is known for its fantastic surfing, water sports and other outdoor pursuits. These include horse riding on the beach and hiking to stunning waterfalls—perfect activities if you want to get out and breathe in the fresh air! Seminyak doesn’t just cater to adults, but the kids will stay happy too. Visit nearby water parks, the wake park, wildlife encounters and the indoor trampoline park (perfect for a rare rainy day!). We had a lovely villa with our own pool. Everything was stunning and so comfortable right down to the temperature of the pool. The food at the resort was amazing and the staff looked after us very well. We would definitely stay at Peppers Seminyak again without hesitation.